Monroe Gallery of Photography is honored to represent the photography of Bill Eppridge. Several of his photographs are featured in the current exhibition, "A Thousand Words: Masters of Photojournalism", on view through September 27. 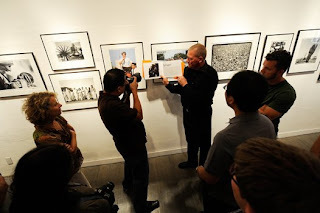 PHOTOGRAPHER JOE McNALLY ON VISIT TO "A THOUSAND WORDS: MASTERS OF PHOTOJOURNALISM"
We were very proud to have the great photographer Joe McNally in Santa Fe last week, and thrilled when he brought his workshop in to see the exhibit "A Thousand Words: Masters of Photojournalism". In his early days Joe worked at Time Inc., and like us, was fortunate to know many of the legendary Life magazine photographers. "So you know what saved the day? What elevated us all? A visit to Sid and Michelle. The Monroe Gallery of Photography currently has a show called “A Thousand Words.” Walking into those four walls adorned with those pictures is to leave all the other crap behind, and be lifted up by the most beautiful breeze you can imagine. The images cut to the chase and the heart. You get goose bumps. Your eyes sting. You remember why you picked up a camera in the first place. Sid and Michelle are so knowledgeable, and for them, the pictures on the walls are family, just like the people who made them, though a fair number of those shooters are gone, which makes preserving their legacy all the more necessary. They told my class stories and a bit about their wonderful philosophy, which is, simply put, that pictures are important, and have value. Bill Eppridge’s pictures from RFK’s campaign are on the wall, and Sid showed the class Bill’s book. In A Time It Was, Bill’s visual record of Bobby’s campaign, is the charred master print of the busboy cradling the senator’s head. It was damaged in the Laurel Canyon fires that swept through Bill’s home, but the core of the image is still there, and the charred edges make that moment all the more searing and painful to look at." "The lead photo of the show is Eisie’s famous drum major shot. I used to bump into Eisie all the time as he padded the hallways of the 28th floor of Time Inc. “Hello McNally,” accompanied by a fairly dismissive wave of the hand was generally as far as the conversation got. As the story goes, Eisie was waiting at the elevator on 28 with a bunch of other photogs. The doors opened and they all crowded in, the diminutive Eisie found himself in close quarters, surrounded by younger, taller photographers. He looked around. “I used to be just as tall as all of you,” he said in his German accent. He made a couple dramatic shrugs of his shoulders, the kind of motion you would make if you were carrying something heavy. “The equipment, the equipment,” was all he said." As the ninth edition of Art Santa Fe draws to a close, July 24 is the launch of Photo Arts Santa Fe, a ten-day festival, which includes city-wide photography exhibitions and special events in Santa Fe, New Mexico. Local galleries and museums will feature special photography exhibits. Other events include demonstrations, lectures, workshops, portfolio reviews and guided photo shoots. Monroe Gallery will be open daily throughout the festival, and in addition to the current exhibition will be presenting a selection of icons of photography. 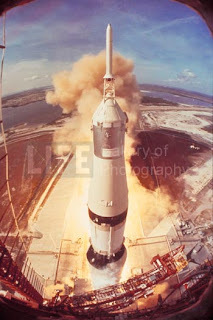 Also, as we remember the 4oth anniversary of the events of 1969, Monroe Gallery has a special web-exhibit devoted to Apollo 11 and the other momentous events of the time, of course including Woodstock. The Opera will continue in full swing. No wonder Santa Fe was again named one of the Top Ten Cities to visit by Travel and Leisure magazine. Hope to see you in Santa Fe! Monroe Gallery of Photography will be exhibiting again at this year's Art Santa Fe Fair July 23 - 26 at booth #29 . Art Santa Fe returns in style this season with its 9th edition to be held July 23-26, 2009 at El Museo in the heart of Santa Fe's hottest new district, The Railyard. Art Santa Fe's boutique style offers a perfect balance of breadth and intimacy, allowing visitors to speak to dealers and artists while experiencing a full range of art in a comprehensible context. Be sure to attend the special presentation by Michael Kimmelman, chief art critic for the New York Times, on Friday. Monroe Gallery will be featuring a wide selection of photographs by Stephen Wilkes, in advance of his important retrospective at the gallery this October. We will also be featuring a selection of highly significant vintage masterworks of photojournalism in our booth. We look forward to welcoming you during Art Santa Fe. 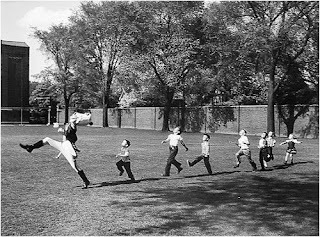 MONROE GALLERY EXHIBIT FEATURED ON "PHOTO OF THE DAY"
We were very pleased that Loomis Dean's photograph was featured as the "Photo of the Day" by Photo District News. The exhibit, "A Thousand Words: Masters of Photojournalism,”is a summer show at Monroe Gallery that runs through September 27. Prints of more than 60 iconic photographs are included in the show, including images of JFK, Winston Churchill, Martin Luther King, Steve McQueen, Marilyn Monroe, the Apollo 11 launch and World War II. "Bound for Santa Fe, home of the Monroe Gallery of Photography, run by the wonderful, decent, and incredibly knowledgeable Sid and Michelle Monroe. The gallery is a breathtaking repository of historically important photojournalism that has transcended categorization and is regarded as art. Art that means something. Art that you can chew on. Whenever I am in Santa Fe, that mecca of all manner of art, and I can’t stand to hear another wind chime, or see another painted cow skull, or see another show of poorly shot photographs printed with the collodion print process (which makes them marred, chipped, aged looking and thus somehow “significant”) I go to Monroe and I wander the room. And I find I’m looking at my memory, right there on the walls." 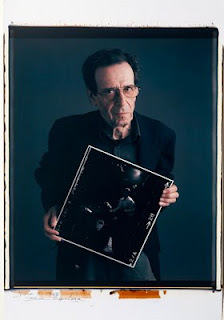 Joe is too modest to add that his photographs are represented by Monroe Gallery. From July 19 - 25, Monroe Gallery welcomes Joe McNally to Santa Fe. Joe will be instructing his intensive and always popular Location Photography and Lighting workshop at the Santa Fe Photographic Workshops. Joe has over thirty years in the field as a shooter: twenty plus on the road for National Geographic; a LIFE staffer, and Sports Illustrated contractor. 54 countries. 50 states. And the author of the award-winning books Faces of Ground Zero, The Moment It Clicks, and Hot Shoe Diaries. Be sure to check out Joe's terrific blog. The gallery has signed copies available and represents Joe's fine-art prints. 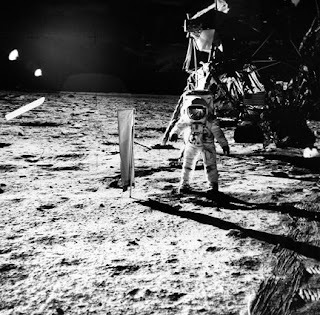 Monroe Gallery of Photography joins everyone in celebrating the 4oth anniversary of the Apollo 11 mission that landed man on the moon. 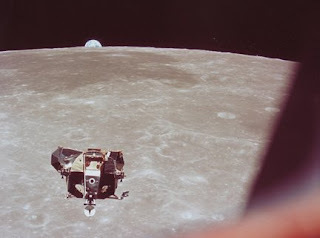 The original audio feed between mission control and the Apollo 11 spacecraft is being streamed on Wechoosethemoon.org, and the NASA Web site, Nasa.gov. On both sites, the 109 hours of audio started on Thursday and will continue until Monday night. Presented here is a brief selection of photographs from the Monroe Gallery archive documenting the Apollo 11 mission. Apollo 11 lift off, July 16, 1969 Ralph Morse ©Time Inc.
Just for fun, here is a still from the set of 2001: A Space Odyssey. The influential blog today posted a feature about Monroe Gallery's current exhibition, "A Thousand Words: Masters of Photojournalism". The month of July is full of events for Monroe Gallery of Photography in Santa Fe. On July 3, the major exhibition "A Thousand Words: Masters of Photojournalism" opened to widespread acclaim. The exhibition continues through September 27, and features 60 great photographs by masters including: Eddie Adams, Harry Benson, Margaret Bourke-White, Cornell Capa, Robert Capa, Ed Clark, Loomis Dean, John Dominis, Bill Eppridge, Alfred Eisenstaedt, Andreas Feininger, John Filo, Bob Gomel, Martha Holmes, John Loengard, Neil Leifer, Leonard McCombe, Ralph Morse, Carl Mydans, NASA astronauts, Gordon Parks, Bill Ray, Joe Rosenthal, Mark Shaw, Stan Stearns, Peter Stackpole, and many others. After a heralded run in Denver, the Eddie Adams documentary film "An Unlikely Weapon" is showing in Los Angeles July 10 - 16. Read the Los Angeles Times review here. The film opens at the Siskel Film Center in Chicago July 17, and will run through July 23. Dates for other cities may be found here. Monroe Gallery is the exclusive representative for Eddie Adams' photographs. A special on-line exhibition of photographs from 1969 is showing on the Monroe Gallery website. 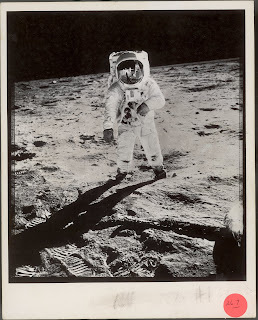 The exhibit includes photographs from the Apollo 11 mission and Woodstock, among other events. Monroe Gallery will be exhibiting again at this year's Art Santa Fe Fair July 23 - 26. Art Santa Fe returns in style this season with its 9th edition to be held July 23-26, 2009 at El Museo in the heart of Santa Fe's hottest new district, The Railyard. Art Santa Fe's boutique style offers a perfect balance of breadth and intimacy, allowing visitors to speak to dealers and artists while experiencing a full range of art in a comprehensible context. Monroe Gallery will be featuring a wide selection of photographs by Stephen Wilkes, in advance of his important retrospective at the gallery this October. We will also be featuring a selection of highly significant vintage masterworks of photojournalism in our booth. From July 19 - 25, Monroe Gallery welcomes Joe McNally to Santa Fe. Joe will be instructing his intensive and always popular Location Photography and Lighting workshop at the Santa Fe Photographic Workshops. Joe has over thirty years in the field as a shooter: twenty plus on the road for National Geographic; a LIFE staffer, and Sports Illustrated contractor. 54 countries. 50 states. And the author of the award-winning books Faces of Ground Zero, The Moment It Clicks, and Hot Shoe Diaries. The gallery has signed copies available and represents Joe's fine-art prints. July 24 is the launch of Photo Arts Santa Fe, a ten-day festival, which includes city-wide photography exhibitions and special events in Santa Fe, New Mexico. Local galleries and museums will feature special photography exhibits. Other events include demonstrations, lectures, workshops, portfolio reviews and guided photo shoots. Monroe Gallery will be open daily throughout the festival, and in addition to the current exhibition will be presenting a selection of icons of photography. Simultaneously, the Opera will be in full swing, and Santa Fe will host the 58th Annual Traditional Spanish Market July 25 and 26. WOW! No wonder Santa Fe was again named one of the Top Ten Cities to visit by Travel and Leisure magazine. See you in July! 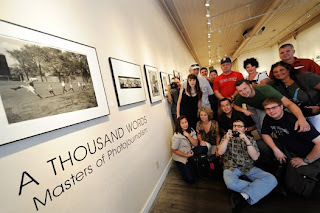 On July 3, Monroe Gallery opened the major exhibition, "A Thousand Words: Masters of Photojournalism". The opening reception was well attended, and the exhibition of 60 great photographs is already receiving public and critical acclaim. The Santa Fe Reporter selected the exhibit as its "Pick of the Week". The exhibition continues through September 27, and selection may be viewed here. 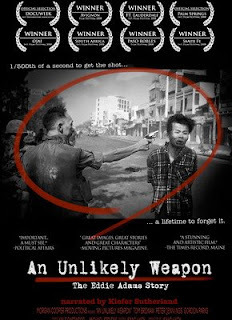 The Eddie Adams documentary film, "An Unlikely Weapon" will be screened at the Laemmle Music Hall Theater in Los Angeles July 10 - 12. Times and location are available here. The prize-winning film is also showing through July 9 at the Starz Film Center in Denver, concurrent with a special exhibition of Adams' original photographs. Monroe Gallery is the exclusive representative for Eddie Adams' photographs. 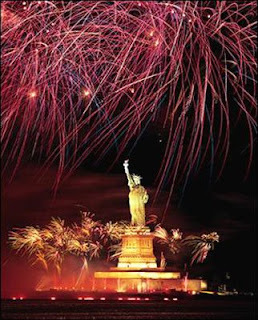 We join in celebrating the Nation's birthday, and wish all our friends a very Happy Fourth of July. We also join in celebrating the re-opening of the Statue of Liberty, with a nice slide show here ; with a comparison to Margaret Bourke-White's two iconic views here and here. Here in Santa Fe, the annual Pancakes on the Plaza is in full swing, with thousands out for a hearty community breakfast in a beautiful open air setting (follow on the Santa Fe Plaza Webcam). And we welcome you to visit Monroe Gallery to view the just-opened exhibition, "A Thousand Words: Masters of Photojournalism". OPENING RECEPTION TONIGHT FOR "A THOUSAND WORDS"
"A Thousand Words: Masters of Photojournalism" opens tonight at Monroe Gallery, 112 Don Gaspar, with a public reception from 5 - 7 PM. The exhibition will continue through September 27. 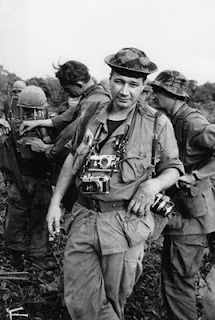 The documentary film about the renowned photojournalist Eddie Adams, "An Unlikey Weapon: The Eddie Adams Story", is screening through July . Showtimes and information here. Concurrently, and special exhibition of 16 of Adams' photographs is on view at the Denver Press Club, call 303-571-5260 for information. The exhibition is sponsored by Monroe Gallery of Photography, representative of the estate. It makes elegant sense: At the end of "An Unlikely Weapon: The Eddie Adams Story," it is the photos that continue to exert tremendous power. As chock-full of insights — from Peter Jennings, Peter Arnett, Gordon Parks among others — it is the famed war photojournalist's works that still create space to be startled, to be rewired. 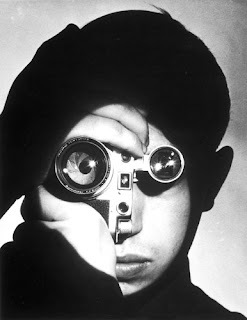 The late Susan Sontag wrote in her extended essay on war photography "Regarding the Pain of Others," that "when it comes to memory, the photograph has the deeper bite." When one watches "An Unlikely Weapon," directed by Susan Morgan Cooper, it is easy to concur. Adams' photos, often in black-and-white, have a stronger hold on us than other modes of representation that are truer to how we physically perceive the world. Time and again, Adams' shots trump video images of the same situations. A pan of the faces of Vietnamese "boat people" doesn't stir the woeful information of Adams' photos of children and parents hunkered down in boats refused entry into Thailand. Adams called that series "The Boat of No Smiles." And it compelled Congress to grant entry to 250,000 Vietnamese refugees. "It was the only good thing I did in my life, but I'm not a good guy," Adams said. In 1968, in Saigon, Gen. Nguyen Nygoc Loan marched a Viet Cong prisoner into the street, put his pistol to the man's head and pulled the trigger. Adams took one frame, 1/500th of a second, to record that man's death. It's used in agit-prop cartoons. A movie clip shows it looming over Woody Allen in "Stardust Memories," a symbol of the character's dark moods. Bad boy rocker Dave Navarro shows off a mural of it in his apartment. Adams' son August is terrifically thoughtful on just how strange a choice this is. 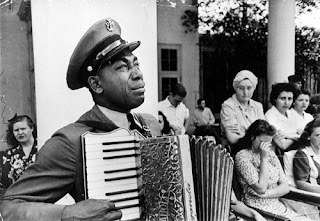 The photograph was credited with changing hearts and minds back home. It is as indelible an image of warfare as Robert Capa's photo of a militiaman during the Spanish Civil War. Or closer to home: Adams' Associated Press colleague Nick Út's 1972 photo of 9-year-old Kim Phuc running naked after a napalm attack. Now a human rights activist, Kim Phuc talks in the film about that photo's power in helping her "work for peace." 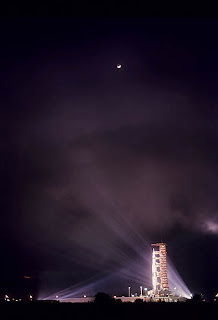 Yet, says Adams of his own acclaimed photo, "When I see the picture, I wasn't impressed. And I'm still not impressed." "An Unlikely Weapon" also covers well Adams' powerful, later work with performers (Louis Armstrong and Clint Eastwood) and other luminaries (Bill and Hillary Clinton). Fortunately for us, Morgan got some quality time with Adams, and we get a provocative dose of the photographer's deep drive and perhaps deeper ambivalence about his craft. Thankfully, there is no shortage of folk to attest to Adams' gifts. And there is another lasting legacy, the Eddie Adams Workshop. The annual four-day gathering of the aspiring and the accomplished surely makes for another great thing the not-so "good guy" did. SANTA FE REPORTER ARTICLE ON "A THOUSAND WORDS"
Everyone has those moments that are remembered with perfect clarity years later. The moments could be melancholy or exquisite or merely capture perfectly a loved one, a relationship, a time of life. Photojournalists seek out and capture these moments. They find the right light, the correct framing, the emotion, the frozen movement and, as they click away, they make the history that will be known by later generations. The Monroe Gallery of Photography presents an allusion to the worth of just one picture, A Thousand Words…. 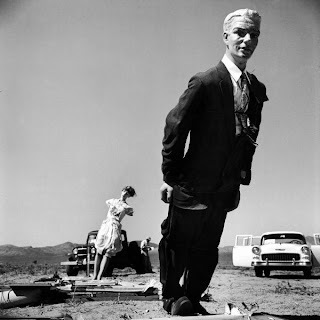 Here, though, there is more than one picture; rather, a vast panoply of American history is available, beginning in 1934—a family peering out of the car they call home, a Beatles pillow fight, Muhammad Ali standing over a prone Sonny Liston, four long-legged beauties lying in the sand, villagers in Vietnam, protesters in China—the list goes on. The photos are iconic and the list of photographers includes masters such as Eddie Adams, Alfred Eisenstaedt, Robert Capa, and many others. 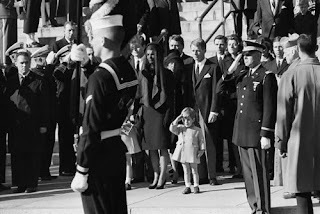 The photos are so powerful, so stark (many are in black and white), that looking at so many is dizzying, but also captivating.